Albany, NY – The Assembly’s Committee on Consumer Affairs and Protection today passed a bill that would require mandatory labeling of food made with genetically modified organisms (GMOs). The bill, A.617, passed through the committee with nine affirmative votes. In the face of opposition by big food and beverage corporations, organizing by environmental and consumers’ rights advocates helped ensure the bill progressed. The vote comes on the heels of the controversial federal approval of genetically engineered salmon late last year – the first GMO animal approved for human consumption. 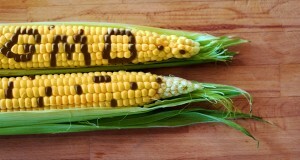 Overwhelmingly, Americans want mandatory labeling of genetically modified food. According to polls by ABC News and The New York Times, over 90% of consumers support mandatory labeling. “As Chairman of the Committee on Consumer Affairs and Protection, I believe New Yorkers have a fundamental right to know what is in their food, including whether it contains any genetically engineered ingredients. Today, I’m proud that the committee voted to stand up for the vast majority of New Yorkers who support GMO labeling, and I look forward to working with my colleagues to bring this bill to a vote in the full Assembly this session,” said Assemblyman Jeffrey Dinowitz (D-Bronx). In the wake of the approval of GMO salmon, there is renewed urgency to label. In December, The New York Times penned a powerful editorial supporting GMO labeling. Just weeks ago, Campbell’s Soup announced its intention to label GMO products, citing polling that shows over 90% of Americans want mandatory labeling. Despite the support of most Americans for labeling GMOs, consumers are left dining in the dark. This past fall, the FDA approved a genetically engineered salmon – the first GMO animal approved for human consumption – which will not be labeled when it hits store shelves. “Today’s vote in the Consumer Affairs Committee moves us one step closer to fulfilling New Yorkers’ right to know what is in the food they feed their families. With the recent FDA approval of the controversial GMO salmon, more and more people across the U.S. are demanding that states pass labeling laws. Now is the time for Albany to act and pass mandatory GMO labeling in 2016,” said Assemblymember Linda B. Rosenthal (D/WF-Manhattan), Assembly sponsor of A.617, the GMO labeling bill. The U.S. lags behind 64 countries– including the European Union, Australia, Japan, China, Russia and India- that already require GMO labeling and keep consumers informed about what is in their food. Alaska, Connecticut, Maine and Vermont already have labeling laws. The bill mandates the labeling of foods that have been produced with genetic engineering, providing consumers with basic information about what’s in their food and how it’s made. This will allow consumers to make informed choices when deciding what to eat and feed their families. There is currently no requirement for food producers to label foods that have been genetically modified. “NYPIRG is thrilled that A. 617 has passed through the Assembly’s Consumer Affairs and Protection committee. For too long, corporations have called the shots on what we know about our food. Increasingly, whether it be in the cafeteria, the dorm room, or a family meal, New York’s students demand transparency with what we put in our bodies,” said Claire Lynch, City College of New York student and member of NYPIRG’s Board of Directors.